As summer is shyly beginning to make an appearance in between cloudbursts, I thought it needed a bit of encouragement with a gorgeous new lemon chocolate. Lemon zest-infused cream is blended with creamy white chocolate and lemon juice for a smooth, sweet, only slightly tangy chocolate. 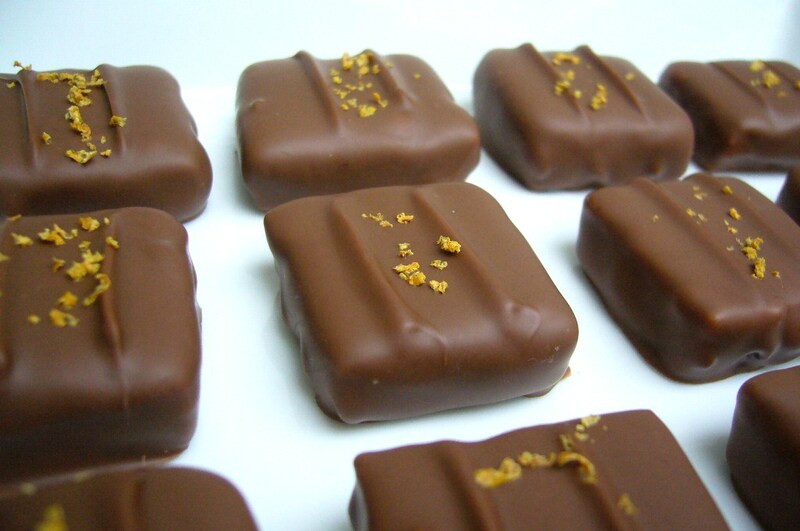 It is dipped in a mellow milk chocolate and sprinkled with dried lemon zest for added colour and zing. This chocolate is subtle and a bit shy just like this summer we keep getting teasing glimpses of. 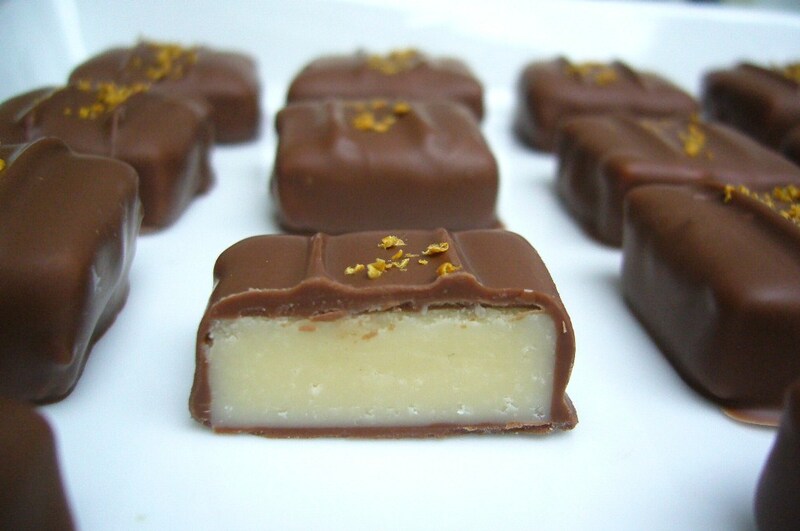 Mostly though, these lemon chocolates are dreamy and creamy and sweet and moreish.